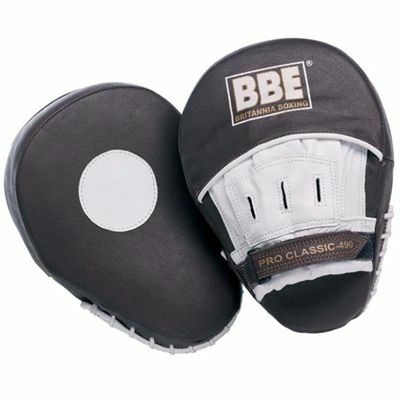 The BBE Pro heavy duty hook and jab pads have double stitched seams for extra durability and are perfect for trainings with big punchers. These heavy duty pads are manufactured from quality artificial leather ensuring top quality and a great feel. They have a traditionally curved ergonomic design and an anti-slip ball grip palm for added comfort. The hook and jab pads ensure excellent fingertip protection and offer 50mm shock absorbent layers of closed cell and EVA foam combination. In addition, they weigh 0.9kg (1.98lbs) and utilise a padded wrist for a comfortable fit. for submitting product review about BBE Pro Leather Heavy Duty Hook and Jab Pads.